The Eaglenest Wildilife Sanctuary in West Kameng District of Arunachal Pradesh is one of India's hotspots of biodiversity. Since the discovery of the bird, the Bugun Liocichla by Dr. Ramana Athreya, a host of other new species, range extensions and new records of amphibians, reptiles, butterflies and moths have been discovered from Eaglenest. The Bugun Welfare Society (http://bugunwelfaresociety.webs.com/) runs eco-tourism in the area, providing employment to the local communities and an incentive to conserve the area. Since 2009, Sanjay Sondhi has been surveying lepidoptera fauna at Eaglenest. These surveys have revealed close to 200 species of butterflies and close to a 1,000 species of moths, many of them being range extensions and a few, new records for India such as the Bhutan's national butterfly-the Ludlow's Bhutan Glory Bhutanitis ludlowi. 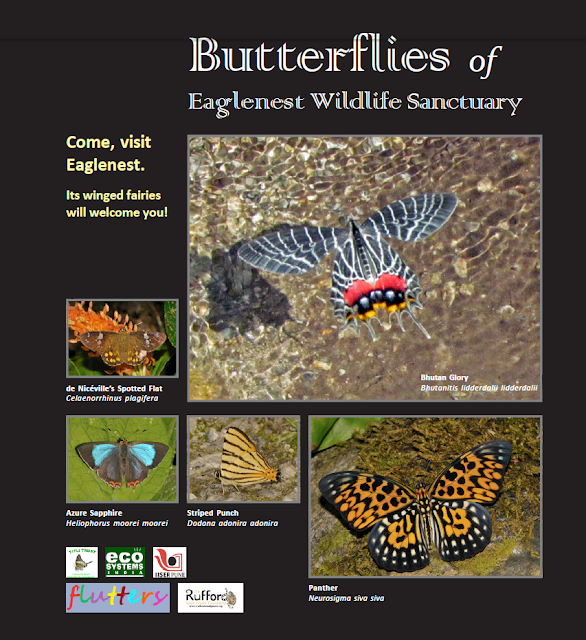 These butterfly and moth brochures are intended to promote eco-tourism at Eaglenest. Each brochure covers 85 species of butterflies and 85 species of moths. The contributions from sales from these brochures will go to the community fund of the Bugun Welfare Society. Don't confuse choosing florist online !! And Beware with fake services ..
Now Days many florist sending worth flowers and gifts so if are looking for best Flowers Delivery in Mumbai you have to search a Top services provider in mumbai like Flowershop18 its a best and great florist in mumbai.